ibrahim bd, 28 Sep 2008This phone is beautiful. It support java based software. i am now using opera mini 4.1 & mig33... moreUr method is not working in my set. i can download everything but i can't use mig33. would u plz kind enough to explain it again. thank u.
Abeer, 27 Sep 2008hi there, does anybody know bout if there is a zooming function available for this 3.15 mp... moreyes zoom possible. use image size 640x480 or less to enable zoom function. Nahid Anwar, 08 Aug 2008Does anyone know the speed of java based applications in it? Specially Mig33 and opera mini l... moreThis phone is beautiful. It support java based software. 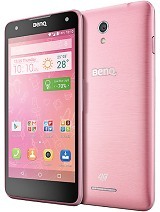 i am now using opera mini 4.1 & mig33 using this phone. Use connection type(menu>internet>wap>settings>select profile>edit>connection type) wap while you download mig33 from wap.getjar.com. And use connection type http while run mig33. Opera mini4.1 runs both connection type. does anybody know bout if there is a zooming function available for this 3.15 mp camera phone here? how come there is no mentioning about the zoom factor in a camera like this high tech? The phone looks gorgeous, my younger brother using it, but only after one month from buying, it got some scratch automatically inside the display.We got the display changed through siemens customer care though, the casing is also getting blurred.and that rectangular area beside the display, the nickels are getting blurred day by day.My brother is so sad for this issue. Rakib, 16 Aug 2008Hay Guys, can U tell me what is PDA phone? Can I read MS word file in PDA phone? can I read PD... moreyes you can! Jonathon, 23 Aug 2008hey.........i would like to buy T60 BenQ phone....now i am so confused....plz any one tell me ... moreya its so cool,but charge live very poor. and u cant mark the contents when u will share these by bluetooth. 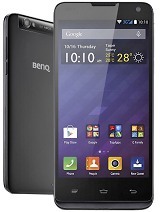 hey.........i would like to buy T60 BenQ phone....now i am so confused....plz any one tell me this phone is good for use or not...but it looks gorgious.....plz 4m Bangladesh. It'a cool phone for the teenagers. Got all the features and the price is also very low. Great work BenQ. BRAVO!! It is a cool Mobile but Its camera is not genune 3.2MP. I'm depressed for Camera performance. Hay Guys, can U tell me what is PDA phone? Can I read MS word file in PDA phone? can I read PDF file in PDA phone? Please anybody help me giving this answer. Ashique, 12 Aug 2008(Reply of Sumeen) Local distribution of Benq in Bangladesh is Siemens Bangladesh....Thanx buddy.Do u mean i can get it from any siemens showroom? BenQ T60, Disign is exillent!! but provied installation CD is too shortage of fetures and provided driver and software not up to the mark. Not getting download suppert from the website.There is no update of driver and software in the website.